methyl ethyl ketone is an organic compound with the formula CH3C(O)CH2CH3. This colorless liquid ketone has a sharp, sweet odor reminiscent of butterscotch and acetone. is an organic peroxide, a high explosive similar to acetone peroxide. Short on time? Let methyl-ethyl-ketone sellers contact you. Qingdao Hoshin Industry Group Ltd. Specifications of Methyl Ethyl Ketone (MEK), MEK content Mass % : 99.7% min Water content Mass % :0.1% max. Initial boiling point Deg C :79.2 Dry point Deg C :80.2 Density at 20 Deg C Kg/l :0.804 - 0.805 Acidity (as CH3COOH) Mg/kg :17 Residue on evaporation Mg/kg :2 Permanganate test at 25 Deg C : Minutes Greater than 180 Flash point (closed cup) at 101.3 Pa Deg C: - 6 Colour Hazen : Less than 10 Appearance : Visual Clear & free of sediments. Per tonnage (metallic steel drum or ISO tanks). Ubikwites Export Management Pvt. Ltd. In order to keep the products in safe condition during handling, warehousing and transit, we make use of only premium packaging materials. Moreover, our skilled personnel are employed for carrying out the task of packing. Buyers can stay rest assured for the delivery of the orders as we are backed by the most sophisticated transit system. Tianjin Jiateng Chemical Products Co. Ltd.
Kingfirst Chemical (Nanjing) Co., Ltd. 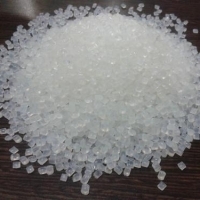 Liquid Ethyl Acetate: Ethyl Acetate is an ester of Ethanol and Acetic Acid, (systematically Ethyl Ethanoate, commonly abbreviated EtoAc or EA) an organic compound having formula CH3COOCH2CH3. Liquid Ethyl Acetate is a colorless solvent has a characteristic sweet / fruity smell. 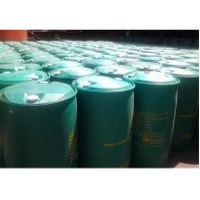 We are a distinguished Liquid Ethyl Acetate Exporter based in India. Liquid Ethyl Acetate, offered by us, is perfect in formulation is well-tested. Further, we welcome bulk orders for Liquid Ethyl Acetate with complete sense of responsibility. Applications: - Ethyl Acetate is used in a variety of coating formulations such as epoxies, urethanes, cellulosic, acrylics and vinyl’s. - Applications for these coatings are numerous wood furniture and fixtures, agricultural, construction and mining equipment, auto refinishing, and maintenance and marine uses. - Ethyl Acetate has applications as a solvent in inks for flexographic and rotogravure printing. - It is used as an extraction solvent in the production of pharmaceuticals and food, and as a carrier solvent for herbicides. - High purity product can be used as a viscosity reducer for resins used in photoresist formulations in the electronics industry. Qingdao Siyuan Chemical Co., Ltd. Methyl ethyl ketone peroxide, thiophosgene, tolnaftate.